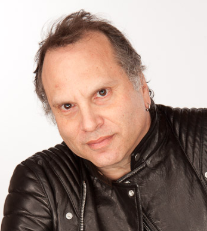 Buzz Bissinger is among the nation’s most honored and distinguished writers. A native of New York City, Buzz is the winner of the Pulitzer Prize, the Livingston Award, the American Bar Association Silver Gavel Award and the National Headliners Award, among others. He also was a Nieman Fellow at Harvard University. He is the author of the highly acclaimed nonfiction books: Friday Night Lights, A Prayer for the City, Three Nights in August, Shooting Stars and Father’s Day. Buzz has been a reporter for some of the nation’s most prestigious newspapers; a magazine writer with published work in Vanity Fair, The New York Times Magazine and Sports Illustrated; and a co-producer and writer for the ABC television drama NYPD Blue. Two of his works were made into the critically acclaimed films: Friday Night Lights and Shattered Glass. Three more are in active development. Friday Night Lights also served as the inspiration for the television series of the same name. Buzz graduated from Phillips Academy in Andover in 1972 and the University of Pennsylvania in 1976. His journalism career began at the Ledger-Star in Norfolk, Va. He then moved to The St. Paul Pioneer Press and later The Philadelphia Inquirer. It was at the Inquirer in 1987 that he and two colleagues won a Pulitzer Prize for reporting a six-part investigative series on the Philadelphia court system. In 1988, Buzz left the Inquirer and moved to Odessa, Texas to write Friday Night Lights, a book about the impact of high school football on small-town life. The New York Times number one bestseller, published in 1990, has sold roughly two million copies and is still in print. In April 2012, he published the follow-up e-book, After Friday Night Lights: When the Games Ended, Real Life Began. Buzz worked as an investigative journalist for The Chicago Tribune from 1990 to 1992. In 1992, he returned to Philadelphia to begin work on A Prayer for the City. Granted unprecedented access by then-Mayor Edward G. Rendell, Buzz’s book, five-and-a-half years in the making, garnered critical acclaim nationwide and was hailed as a classic on politics and urban America. Three Nights in August, about major league baseball and the timeless beauty of the game through the eyes of legendary St. Louis Cardinals manager, Tony La Russa, was published in April 2005 by Houghton-Mifflin. It spent four-and-a-half months on the New York Times Bestseller List and has been hailed as one of the finest books on baseball in the past decade. A film version of Three Nights in August is in development. Shooting Stars, written with NBA basketball great LeBron James, was published by Penguin Press in 2009. It tells the story of James’ high school career where he and his four best friends won a championship. His most recent book, Father’s Day: A Journey into the Mind and Heart of My Extraordinary Son, was published by Houghton Mifflin Harcourt in May 2012. It chronicles the lives of his twin sons. Born 13 weeks premature in 1983 and weighing less than two pounds, they have lived diametrically opposed lives. After obtaining his Master’s in education from the University of Pennsylvania, Gerry is now a public school teacher while Zach, because of oxygen deprivation at birth, suffered trace brain damage and struggles every day with enormous learning disabilities. Buzz’s teleplay and screenwriting work includes collaborations with directors Alan Pakula, Peter Berg, Greg Hoblit, Todd Field and Tim Kring. Buzz also spent the 2000-2001 television season in Los Angeles as a co-producer and writer for the long-running television series NYPD Blue. Buzz has been a contributing editor at Vanity Fair magazine since 1996. His August 2007 Vanity Fair article “Gone Like the Wind,” about the saga of 2006 Kentucky Derby winner Barbaro, was optioned by Universal Pictures. In 2009 he became a sports columnist for The Daily Beast. He is a longtime contributor to The New York Times, Wall Street Journal, and the Philadelphia Inquirer. In June 2012, the Buzz Bissinger Show with Steve Martorano debuted on 1210 WPHT in Philadelphia. Airing weekday afternoons, the talk show covers an expanse of current topics ranging from politics, sports, education, law and popular culture. His numerous and frequently provocative television appearances include Hardball with Chris Matthews, Piers Morgan Tonight, Tavis Smiley and CBS News. He is a sought-after speaker and lecturer. Buzz and his wife, Lisa, divide their time between homes in Philadelphia and the Pacific Northwest. Buzz is the father of twins Gerry and Zachary and 20-year-old Caleb, and is owned by a yellow Lab, Maddy.